What is the true nature of freedom, and where may it be found? This question begins to haunt a young Volterrano boy called Tommaso after his city is sacked and occupied by Florence. While his family becomes embroiled in a plot to murder the Medici, Tommaso begins a search for wisdom. 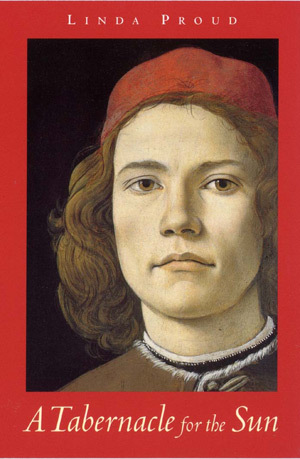 In Florence he finds the Platonic Academy and its mysterious head, Marsilio Ficino, but is told that he can make no further progress in his spiritual quest until he has reconciled himself to Lorenzo de' Medici. This is something he cannot do. He seeks distractions in the workshop of Botticelli; he enjoys beauty of intellect in his employer, the poet Angelo Poliziano; he achieves wealth and satisfaction through his craft; but all the time the goddess of Wisdom is calling him, and to win her, all he need do is prostrate himself in front of the tyrant. Tommaso de' Maffei is an eleven year old orphan living in Volterra, a small town of Etruscan origins subject to Florence. He grows up idolizing Lorenzo de' Medici, the young ruler of Florence. Since the discovery of alum in the territory of Volterra, however, the town has polarised between republicans and supporters of the Medici. Tommaso's cousin declares himself a republican, and sets up in Tommaso a conflict of loyalties between his dream hero and his native loyalties. Then to Volterra comes a new bishop. Tommaso has lived his whole life in the bishop's palace, an empty place cared for by his grandfather. The new occupant brings discipline to the boy's life; he also brings a mysterious and inspiring philosophy, that of Plato. Plato had been largely forgotten in the West until the fifteenth century when his rediscovery led to the growth of the Platonic wisdom tradition centred in Florence. The head of the Platonic Academy is Marsilio Ficino, and his patron is Lorenzo de' Medici. The political issues come to the boil. Volterra revolts against Florentine rule. Lorenzo de' Medici masses an army against the city, and in the end Volterra is sacked. Tommaso's love for his hero turns into pitch. Peversely, all his dreams now begin to be realised. He is taken to Florence by the bishop, and put to train as an apprentice scribe with the city's most notable bookseller. He begins to meet all his heroes and is befriended by Angelo Poliziano, for whom he begins to work. He still desires entry into the Platonic Academy, but he is told by Ficino that to do so he must open his heart, particularly to Lorenzo; to proceed on his spiritual path, he must surrender to the tyrant. This he cannot do. The story is based on the true events of the Pazzi Conspiracy, which was an attempt on Lorenzo's life made by a band of men including Tommaso's cousin. It also outlines a young man's search for truth in a turbulent world, as relevant today as then. 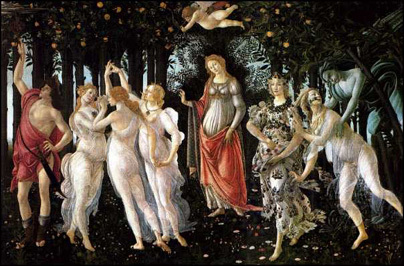 This quest, for the return of the soul to God, is exemplified by the design of the Primavera, and it is this painting which is being designed by Botticelli and his apprentice Filippino Lippi as the murderous plot gathers pace. 'The research in art, history and philosophy is breathtakingly thorough' Ruth Padel (Daily Mail). 'Full of wisdom' Tim Pears (author). 'Historical fiction at its best' Historical Novel Society. 'A time-travelling trance of inspiration, straight to the heart of the Renaissance' Noel Cobb in Sphinx 3. 'Astonishing tour-de-force' Dr. Pamela Tudor-Craig (art historian). 'A Tabernacle for the Sun' is the first volume of a trilogy. The story was conceived in 1974 and took 11 years in research. To research the Renaissance means becoming familiar with the history of just about everything, and 700 books were either read or consulted in the course of the work. Since the tendency of scholarship is to specialise, my work has been to put Humpty Dumpty back together again and make whole figures out of the mass of detail now available. Often this leads to surprising discoveries, not least of which is the character of Lorenzo. It is the current fashion to consider him a tyrant and a model for Machiavelli's ideas, but I am satisfied in myself that a man who could write such poetry as his could not be a tyrant (unfortunately the writers of histories are not always readers of literature). The other character who turned out very different to the portraits painted of him over the centuries was Angelo Poliziano, Lorenzo's friend and Tommaso's employer. Like many before him, his reputation has suffered from the evil of detractors, and has not yet been fully restored.